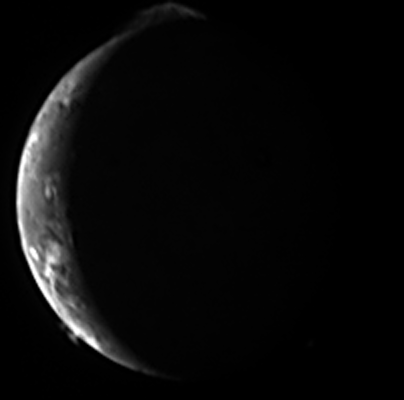 I processed the last few images (at least those not taken while Io was in eclipse) from the Galileo and New Horizons datasets. 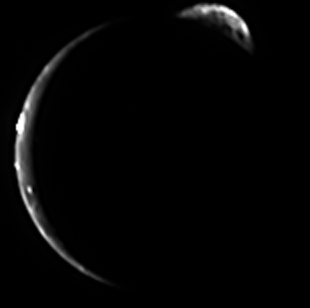 These include crescent images from New Horizons and a high-resolution mosaic over Tohil Mons, Radegast Patera, and Tohil Patera from Galileo. Other space news websites and magazines, such as Space.com and Aviation Week, covered the new Outer Planet Flagship mission reports. 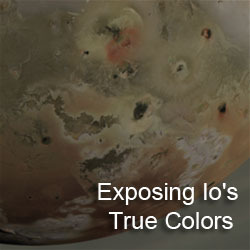 I posted the first in a series on internet resources on Io, this time covering Io on Google Books. I finally uploaded the final Galileo SSI observation that I had not completed to my Galileo Io Images Page. 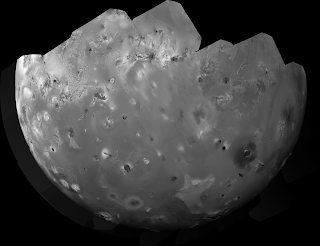 The mosaic, from Galileo's October 2001 I32 flyby of Io, is from the 32ISTOHIL_01 observation and covers the central part of Tohil Patera and Tohil Mons and almost all of the smaller Radegast Patera. 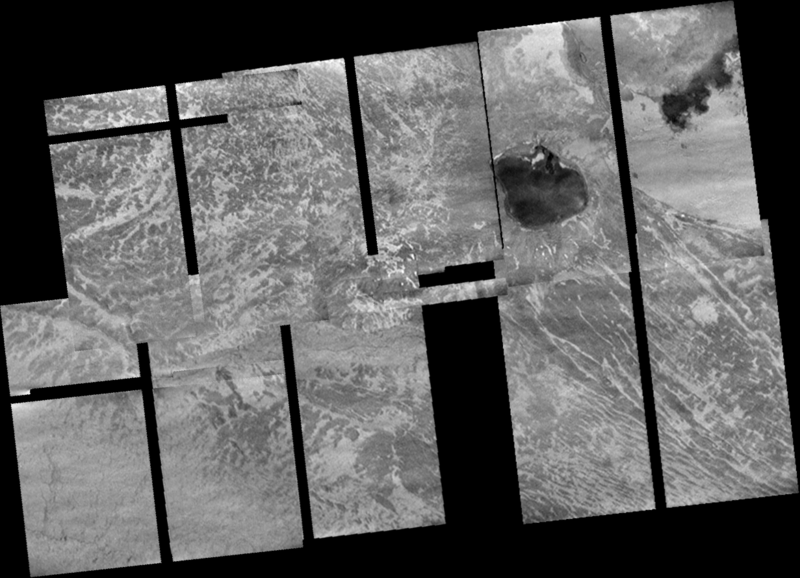 The images in this mosaic were acquired shortly after these features passed the morning terminator and the sun was low in the ionian sky, making topography appear more visible. This mosaic has a resolution of 50.9 meters per pixel. Definitely check out the full-resolution version. 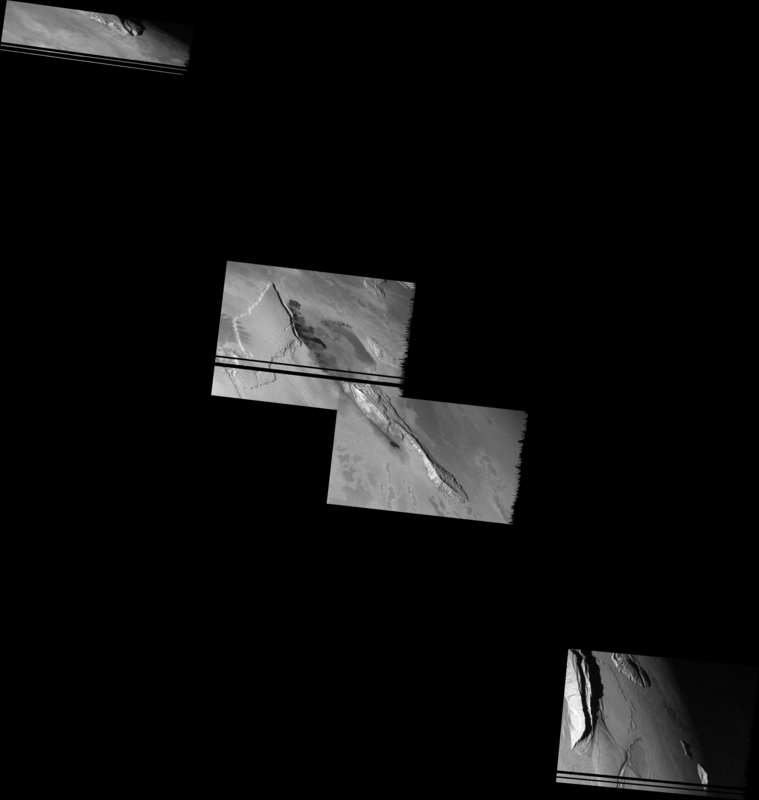 Tohil Mons is a 9.4-km tall mountain with a very complex morphology. 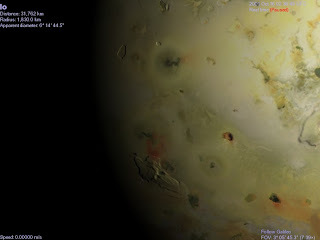 It appears to consist of slabs of Io's lithosphere that have been thrust upward through a series of thrust fault, similar to imbricate thrust belts on Earth. 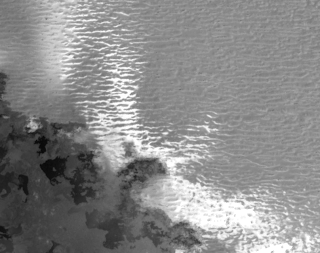 While no direct evidence for layering is visible on the slopes of Tohil Mons (layers would need to be much thicker than the expected 1-10 m thick flows thus far observed on Io to be visible here), indirect evidence comes from several patches of bright frost visible along many slope faces. These patches are likely SO2 frost deposited after sapping. The complex morphology of the mountain is largely the result of mass wasting since the mountains formation, including landslides and massive slope failure, particularly near the top of the mountain. 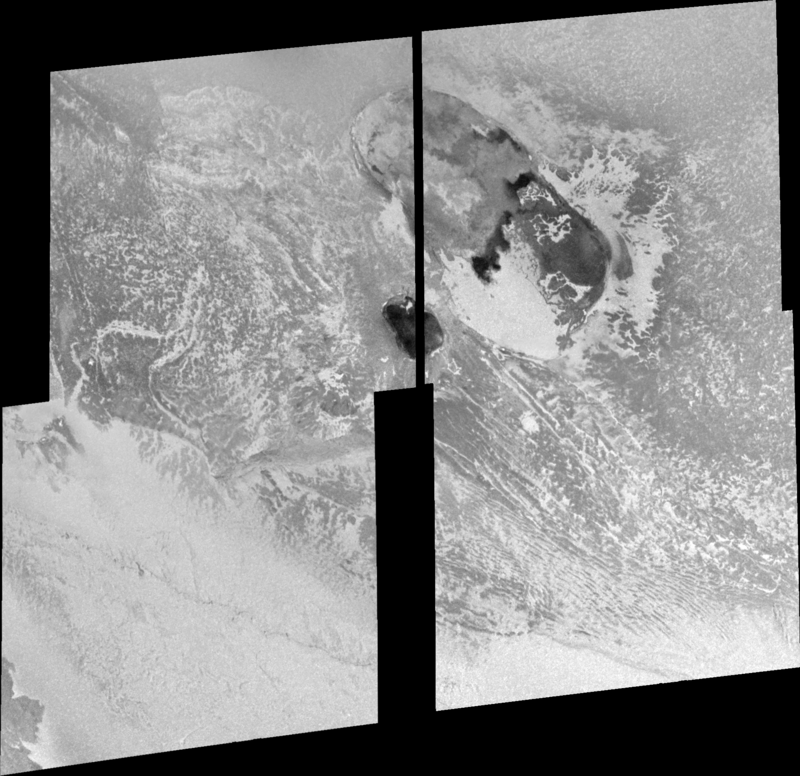 The two volcanoes visible in this mosaic have quite different morphologies. Radegast Patera, a small volcano visible across much of the center frame, has a dark floor and steep sides. Two dark lava flows are visible near the northern end of Radegast. 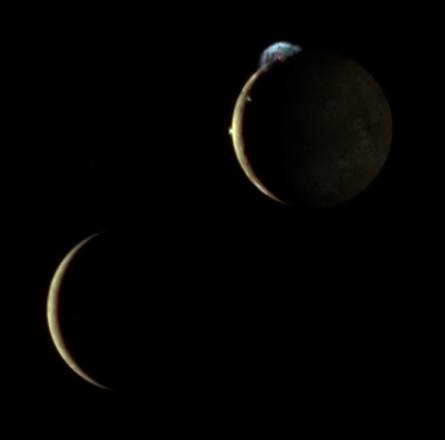 These flows formed sometime between February 2000 and October 2001 and, according to the NIMS instrument onboard Galileo, were still warm during the I32 encounter. The lack of debris flows on the patera floor suggests that either the volcano is or was a lava lake or that the rate of resurfacing out paces that of mass wasting. Tohil Patera, a much larger volcano that covers much of the two right-hand frames, is much shallower depression with a mottled appearance. The brighter portions of the patera appears to be covered in ~10 meter thick flows, either sulfur flows or older silicate flows that are now coated in SO2. 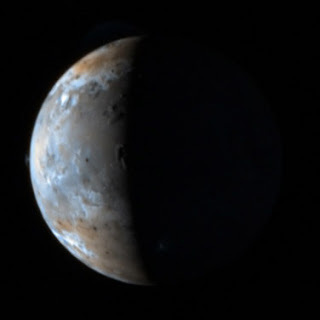 Several dark patches are visible with some due to dark, silicate flows. 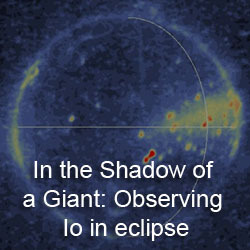 A more extensive overview of this observation is provided in Turtle et al. 2004 and Williams et al. 2004. Space.com has a nice article on the current status of the flagship mission selection process as it stands at the moment. There isn't anything that hasn't been covered here in the last week (though obviously it covers the Titan/Saturn mission too, though it still gets the final destination of the orbiter in that mission wrong). It again seems to confirm what I have heard (and can be seen in the timeline in the EJSM presentation) that downselection is currently being targeted for mid-November of this year. 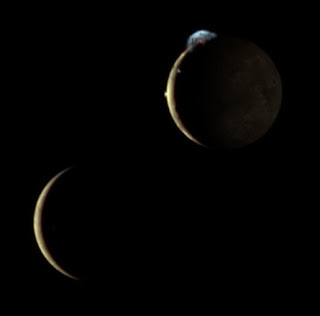 The author also seem to imply that ESA is still committed to their separate downselection process for their Cosmic Visions program, which could see one of two space observatories being developed instead of their commitment to this flagship mission (be it the Jupiter Planetary Orbiter or the Titan balloon). The article also highlights the possibility of a Russian-made Europa lander more than a possible Japanese-built Magnetospheric orbiter. The comments are pretty interesting. Obviously the presidential election will take a backseat to this far more important decision: Should we go to Europa first, or Titan? It isn't bloody yet, but you just wait. I'd pay to see Bob and Ralph go ten rounds. Okay, so which do I favor? 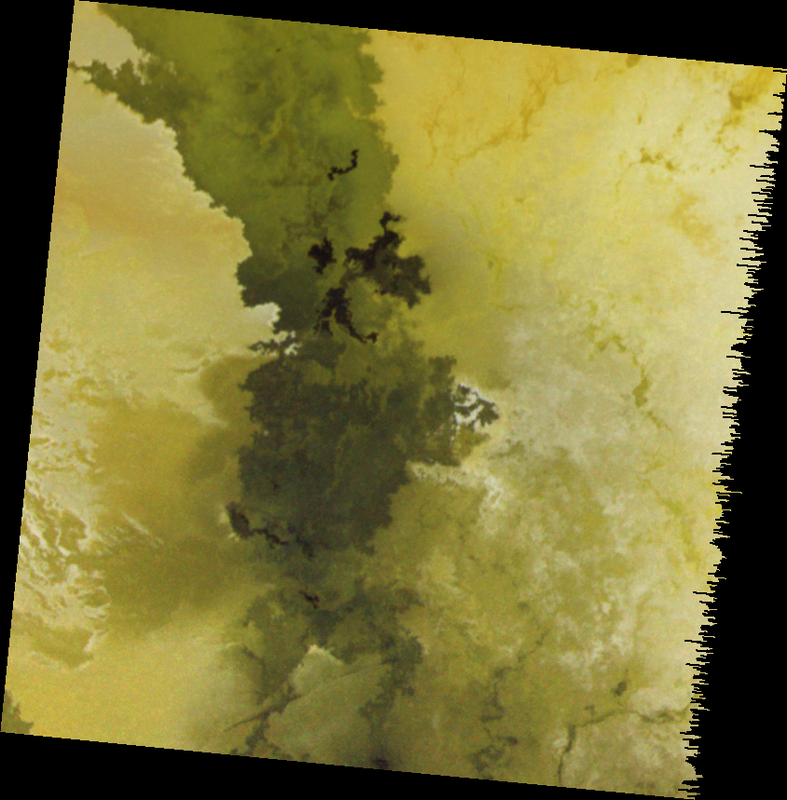 I currently work on Titan data from Cassini. 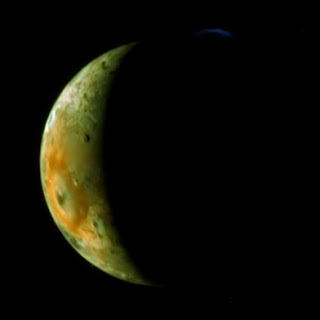 Obviously, my favorite moon is still Io, and I would love to see more upclose observations of that moon (forget Europa, let's just flyby Io). For the time being, it is rather difficult for me to chose one or the other. For example, we still don't know what the baseline payload for Jupiter Planetary Orbiter is. 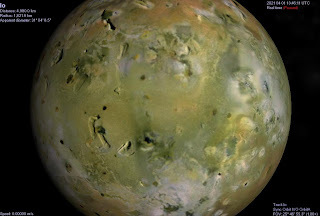 For Io science, it is imperative that this spacecraft have a decent narrow-angle camera with a IFOV of at least 10 µrad (100,000 km altitude = 1 km/pixel). 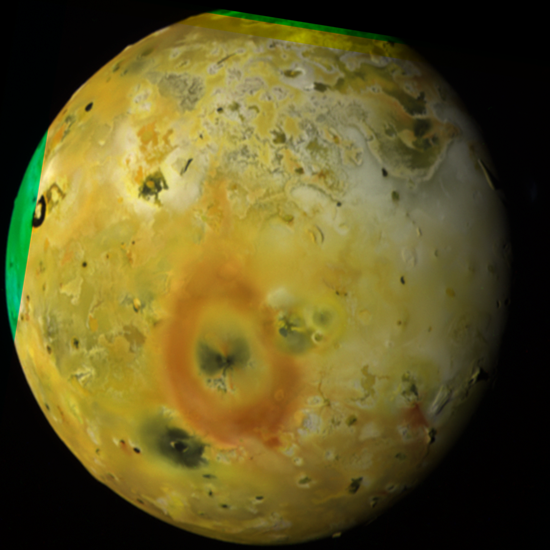 The Europa Orbiter could flyby Io as many as four times. As long as these are in the baseline mission, and the JPO has a decent camera, I would support the Europa/Jupiter System Mission. Looking strictly at the primary missions of both concepts, I am more impressed and excited by the Titan/Saturn System Mission. 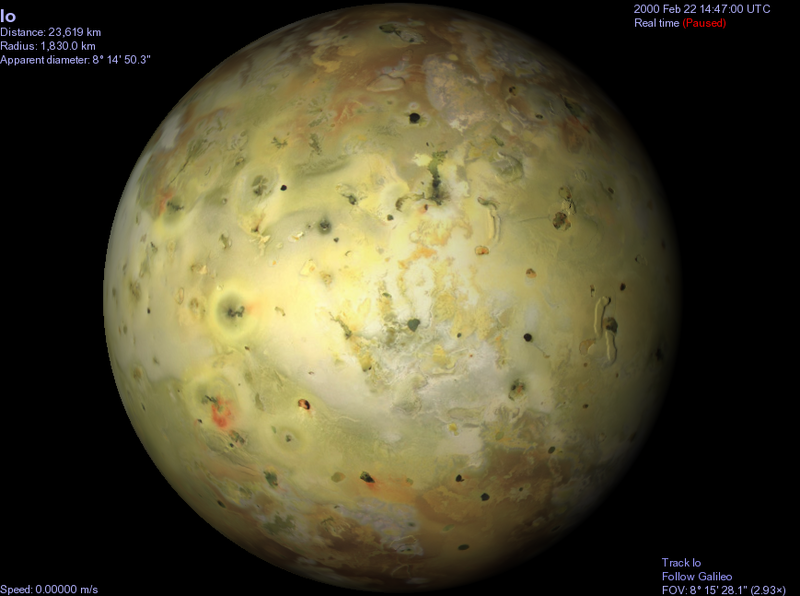 If Io science were to be greatly curtailed in the Jupiter system mission, I think the Titan project would be great. Aviation Week has an interesting article on the two Outer Planets flagship mission studies that are on going. The article seems to focus more on the Saturn/Titan mission concept, which includes a Saturn/Titan orbiter, a Titan balloon, and possible drop probes that would study the surface in situ. The article also goes into how funding for the flagship mission will likely effect the Mars program, which will see a slow down in their mission schedule over the next decade to accommodate the sample return. <- Lookie what I made. 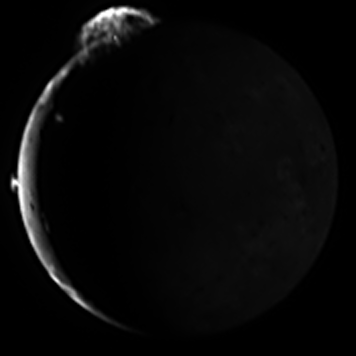 This image uses Celestia to simulate the view from Galileo shortly after the I32 flyby in October 2002. 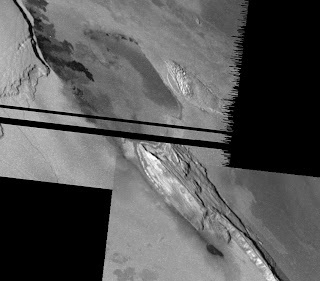 The big thing is the use of an elevation map by Paul Schenk of Tohil Mons, near the terminator just below center. 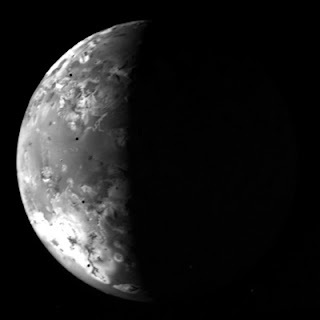 Compare this image to the view capture by Galileo, 32ISTERMIN01. Now that I am done with mosaicking images from I24, it is time to move on to I27. What about I25 and E26, you may ask? Well, for right now, I have all those images processed into nice mosaics. The only thing I can see doing is maybe some noise filtering and updating the color in the Culann mosaic. 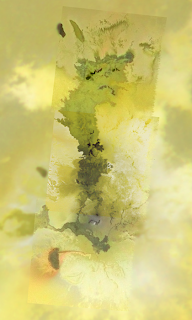 For I27, I had previously uploaded mosaics of Amirani, Prometheus, the Chaac-Camaxtli region (as well as a version combined with C21 color), Tvashtar, and a cliff east of Isum Patera. 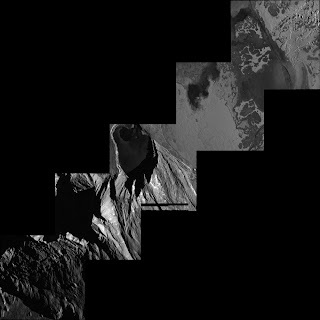 The two mosaics I worked on this time around include a high resolution view of Prometheus and environs and Tohil Mons. 27ISPROMTH01 is an eight-frame mosaic covering parts of the Prometheus flow field and the ridges just to the north of the field. 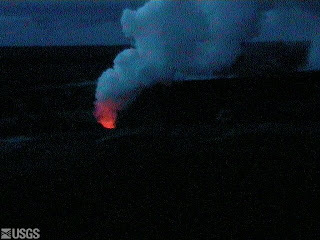 Bright sulfur dioxide frost is clear visible superimposed on the ridges, blasted out from active flow fronts as the volatile is superheated after being covered in lava. 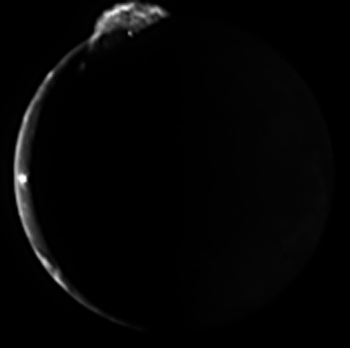 The ridges are a fairly ubiquitous feature on Io's equatorial bright snowfields and are thought to be created as a response by the weak, SO2-rich surface layer to the local tidal stresses (see Bart et al. 2004). Toward the lower right of the mosaic, you can see two spots of incandescent lava. 27ISTOHIL_01 is a high-sun view of the mountain Tohil Mons (check out this I32 mosaic for a low-sun view of the same area). This observation is similar to one acquired in I24. The two mosaics allowed scientists to develop Digital Elevation Models of the mountain. 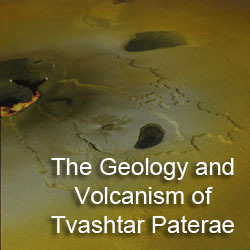 The dark volcano near the center of 27ISTOHIL_01 is called Radagast Patera and the one to the northeast of that is Tohil Patera.